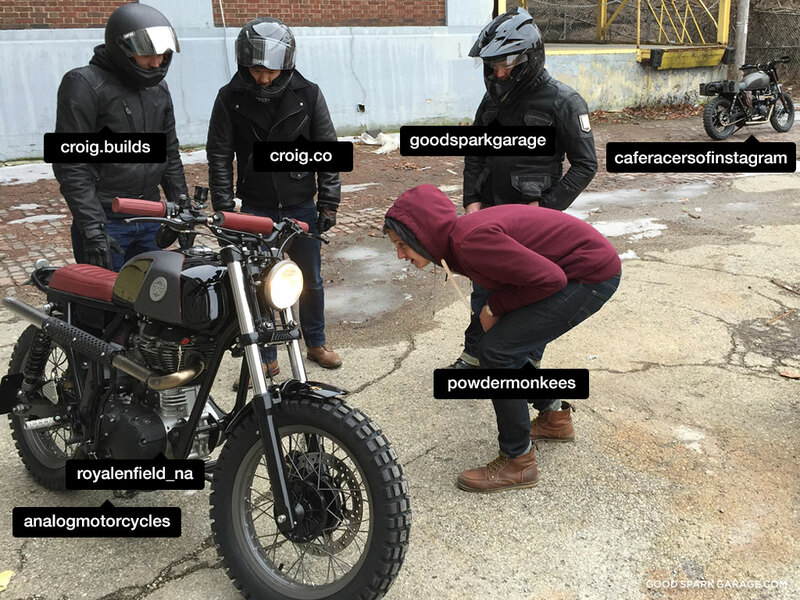 Above, Casey Wilkinson (left, of Good Spark Garage) hops on the Wilkinson Bros CL360 Scrambler and waits with Andy Blaschko of CROIG. 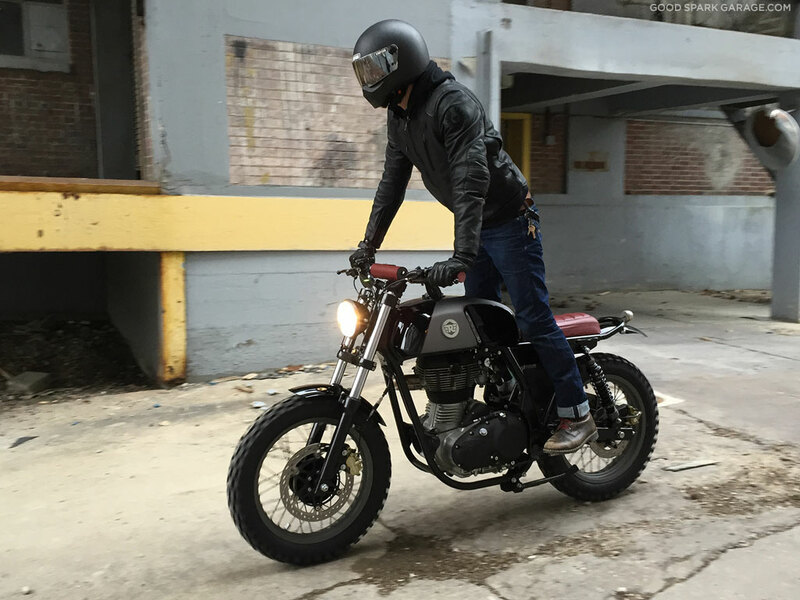 Andy is riding “Furiosa“, built from a 2015 Triumph Bonneville by CROIG in partnership with British Customs (they’re giving this bike away soon!). Corey Wilkinson, left, gives photographer Jun Song a lift to the shoot location. 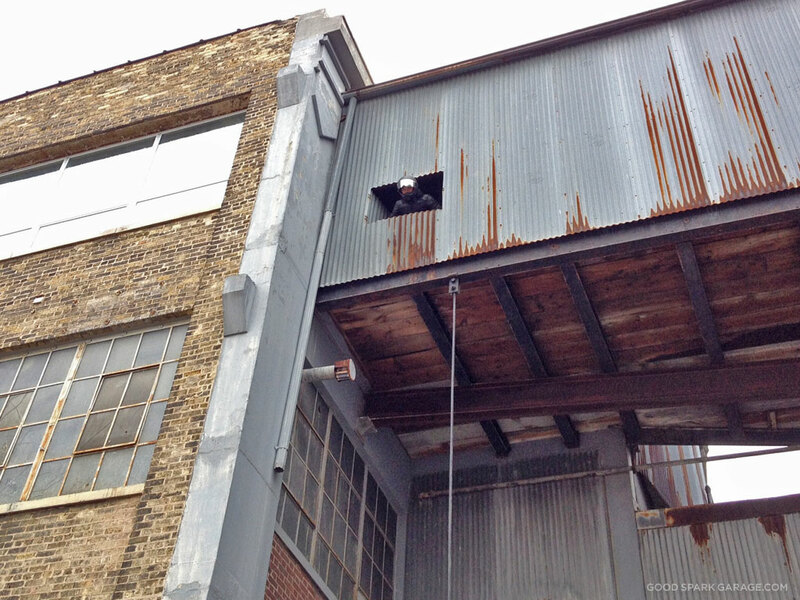 Earlier that afternoon, Jun scouted out a vacant lot that provided a gritty, urban backdrop for the photo shoot. 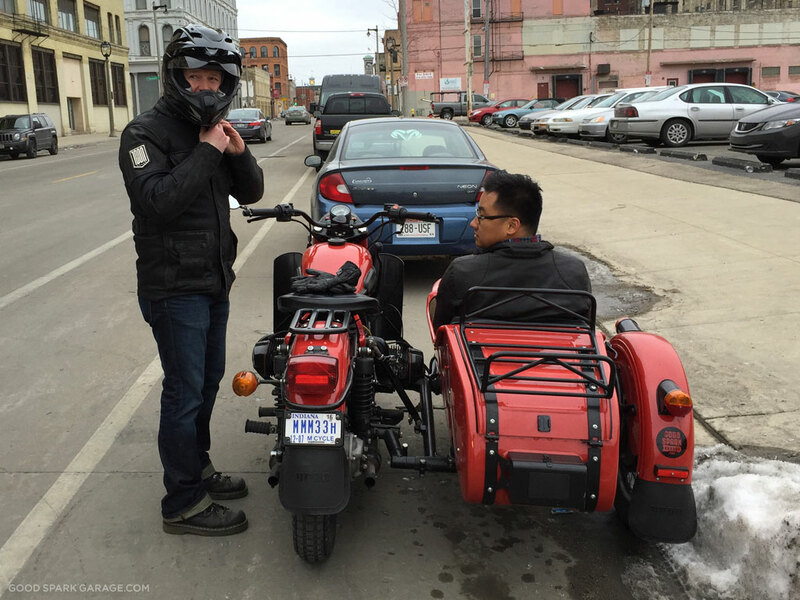 I gave him a ride in our Ural sidecar (above) so he could snap a few pics on the fly. 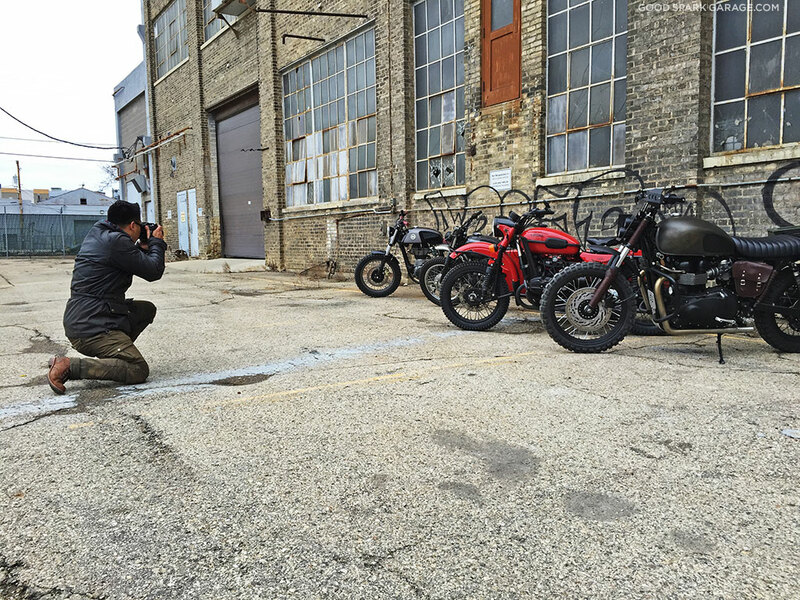 Corey talks with Analog photographer, Grant Schwingle of Whiplash Racing Media. It was cold, somewhere in the low 30s, but for February in Milwaukee, we’ll take it. 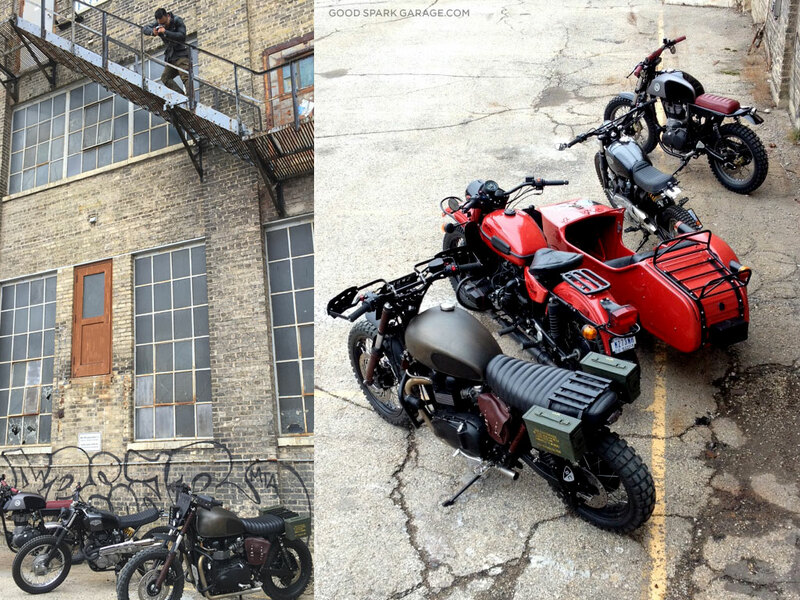 The winter sky muted the already-grey surroundings and the bikes were rolled right out of the show; very clean. 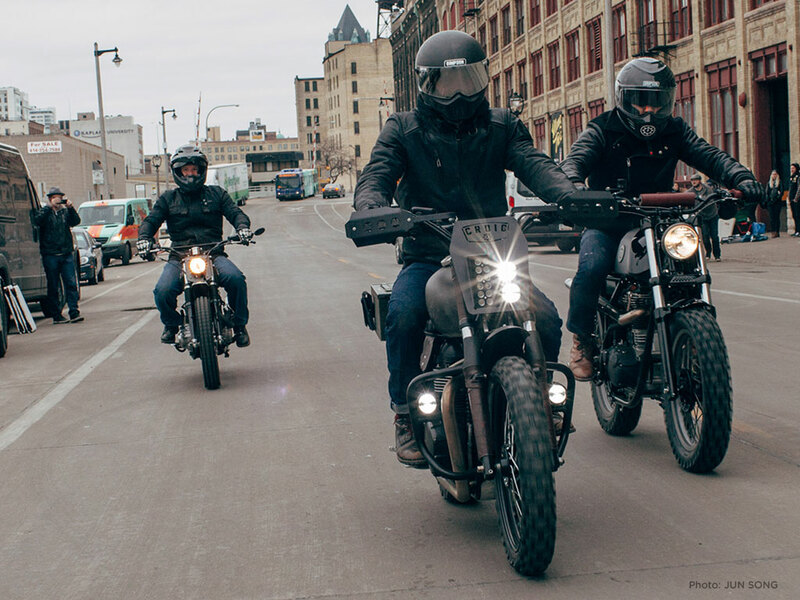 Above, Left to right: Casey on the Wilkinson Bros CL360 Scrambler, Andy Blaschko on the Triumph Bonneville “Furiosa” and David Chang (of CROIG) riding the Analog Motorcycles Royal Scrambler. 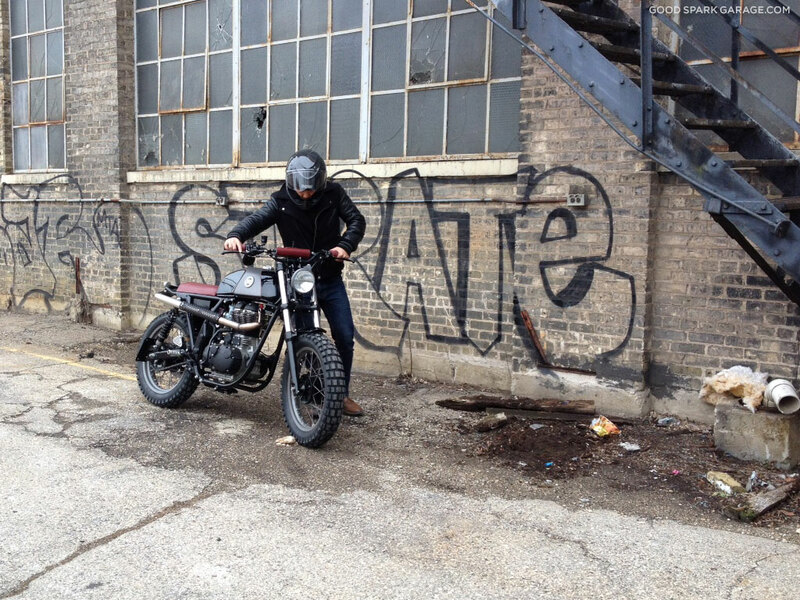 Casey puts some heat into the li’l Honda scrambler’s rear tire. 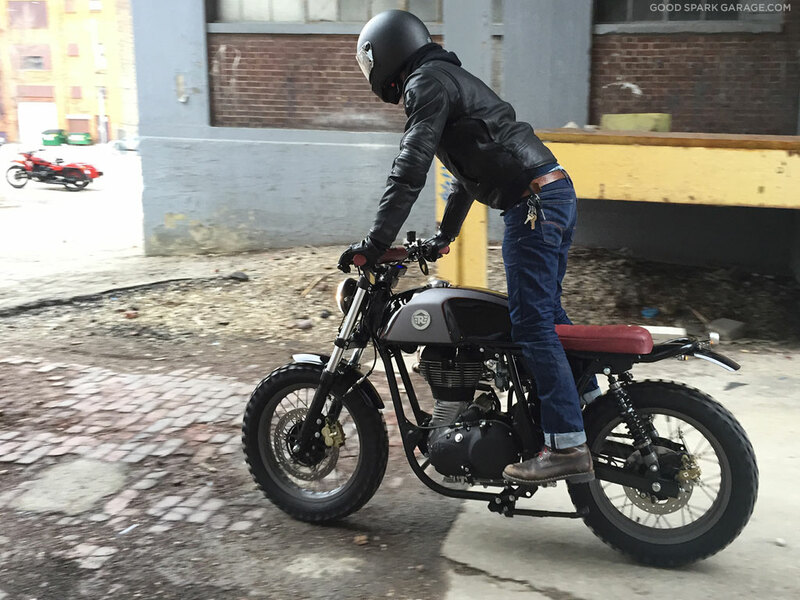 Andy getting a feel for the newly-built Analog Royal Scrambler. David pushes the Royal Scrambler in place for Jun to shoot. 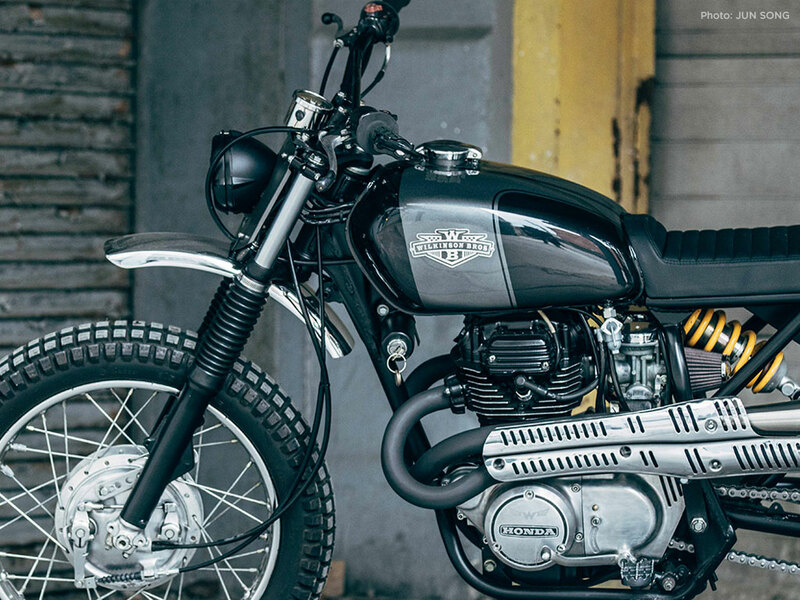 The Analog Royal Scrambler is based on a Royal Enfiled Continental GT. 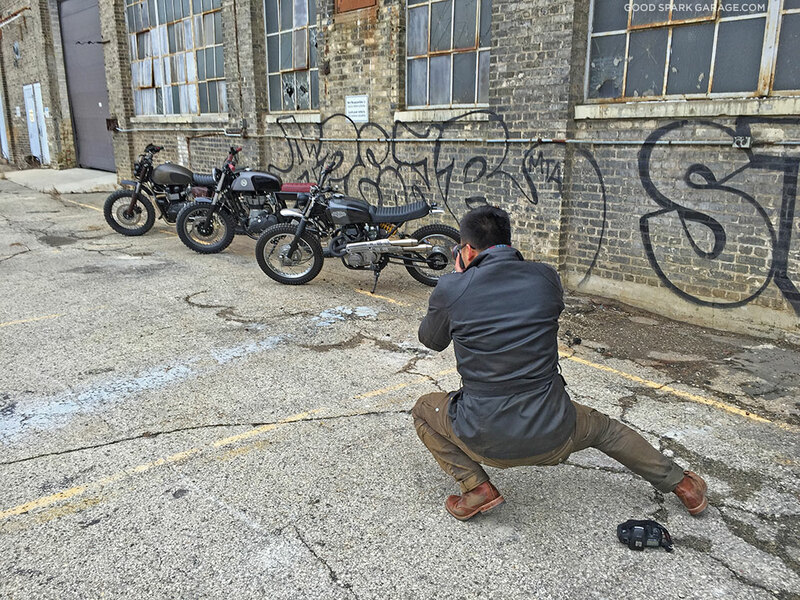 Photographer Jun Song shooting a motley crew of scramblers. 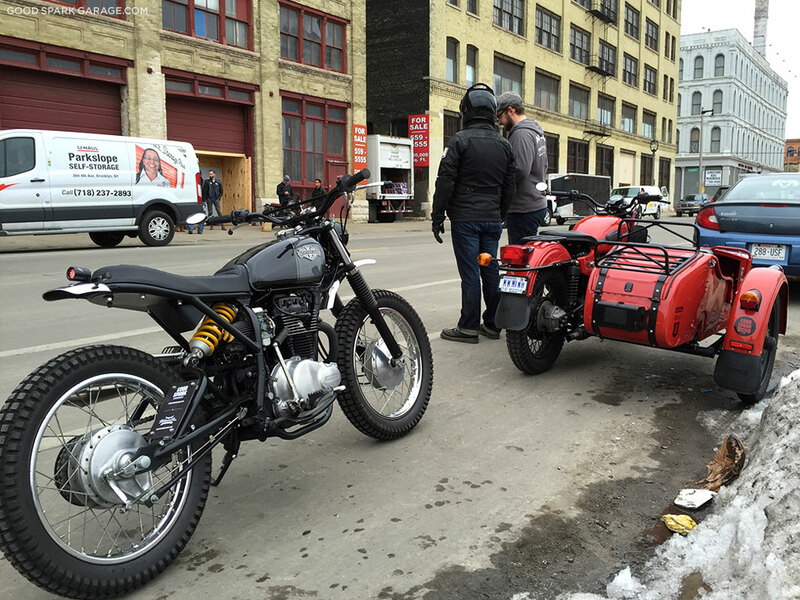 Bikes from England, Japan, Russia and India lined up in Milwaukee. 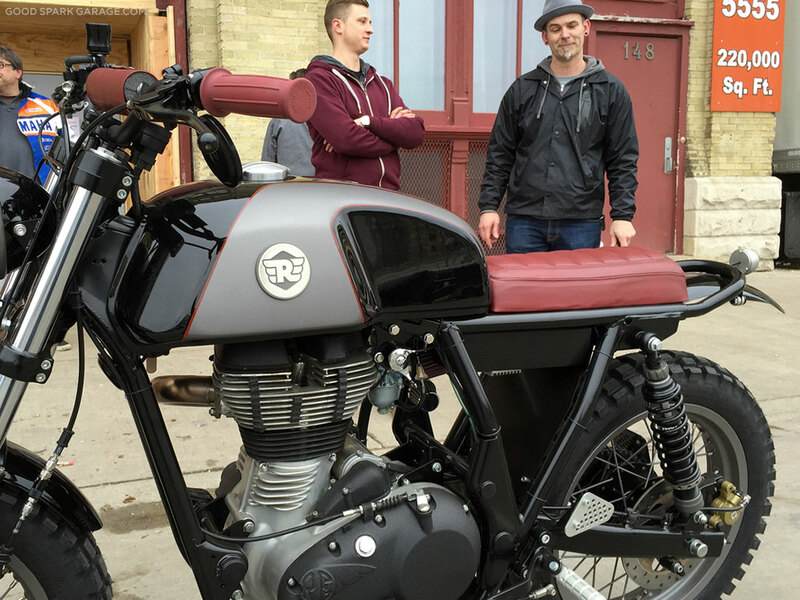 Tony Prust of Analog Motorcycles (right) and his Royal Enfield Royal Scrambler. 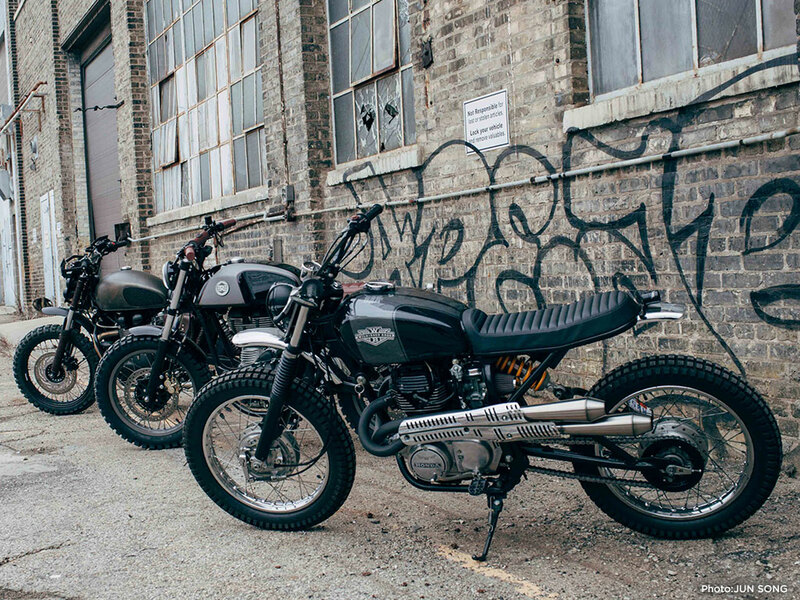 If you want to see a nice set of Jun Song’s pics featuring the Royal Scrambler, visit this link. 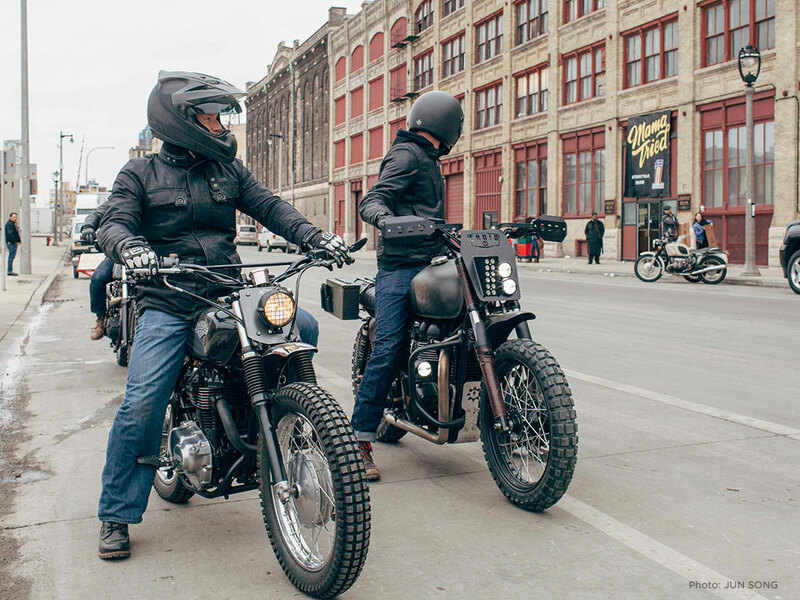 It was a project done in partnership between Analog Motorcycles and Royal Enfield North America. 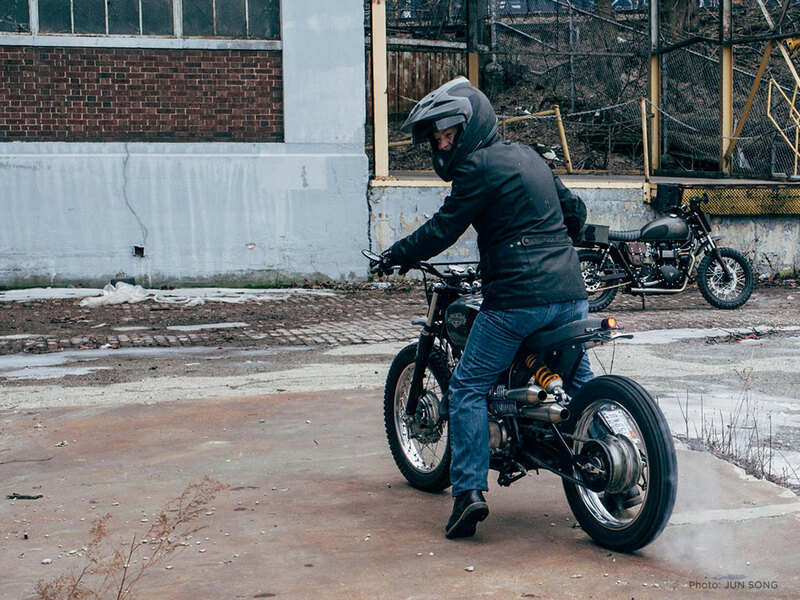 In six short weeks, Tony deconstructed a new Continental GT and put his scrambler spin on the 535cc single cylinder bike. You can read about all the details on the recent BikeEXIF article. A birds-eye view found by Andy in an abandoned factory building. 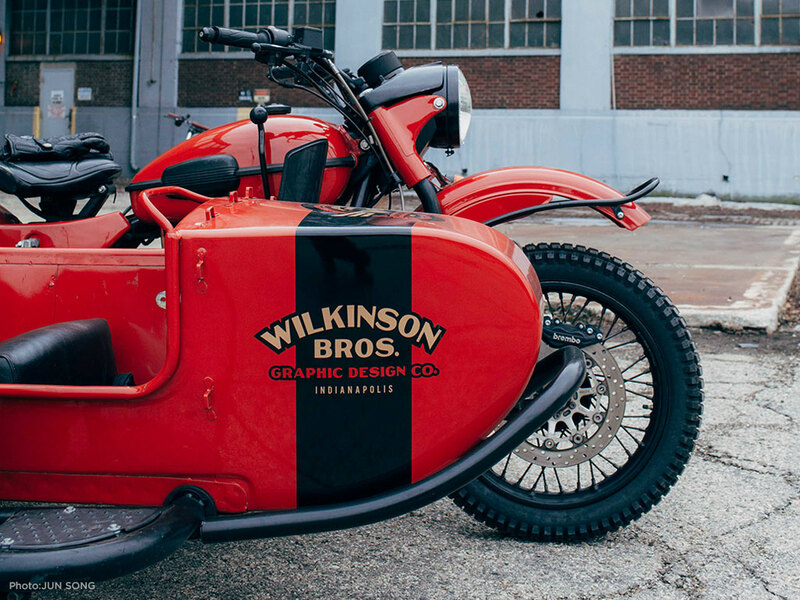 The Wilkinson Bros CL360 build captured by photographer Jun Song. Above: Grey on grey, a monochromatic image of our mono shock Honda. A lotta love and time went into this special build for a friend of ours, Steve Healey. Of the bikes in this post, it’s the only one with old-school origins (1975); you can read about its new blood in a BikeEXIF article here. The beauty of a Ural sidecar motorcycle is the cargo space and its giant tub from which to easily shoot photos from. Jun was a good sport, operating the camera bare-handed in the freezing temps and trusting Corey, his chauffeur for the outing. Put a custom motorcycle in front of this group and there’s plenty to talk about. 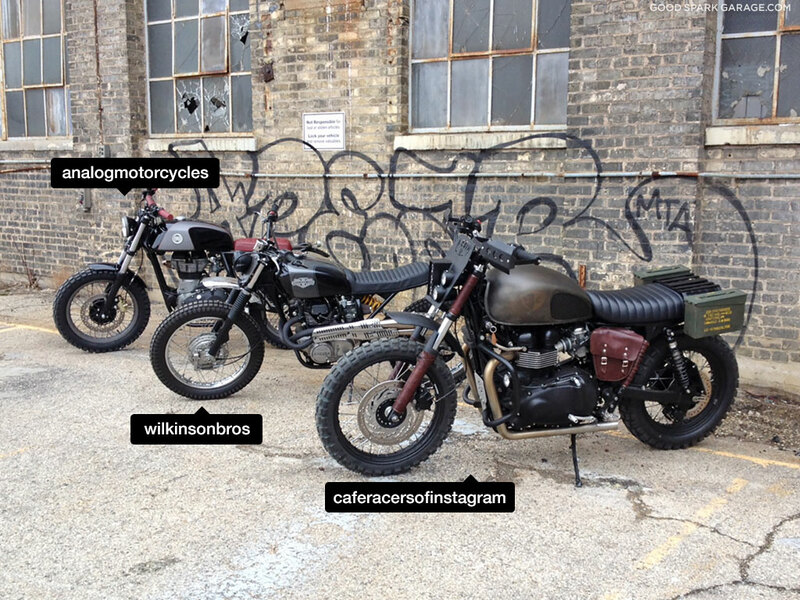 We always look forward to crossing paths with likeminded motorcyclists who are making their mark in today’s scene. One of these days we’ll look back and really appreciate the surge in motorcycling’s popularity and the artistic shot in the arm it’s received in the past decade. Stay tuned for what else we find down the road.